Integrated Device Technology, Inc. (IDT) (NASDAQ:IDTI) today introduced a new single-pole, double-throw (SPDT) absorptive RF switch optimized for the latest cable networking equipment. 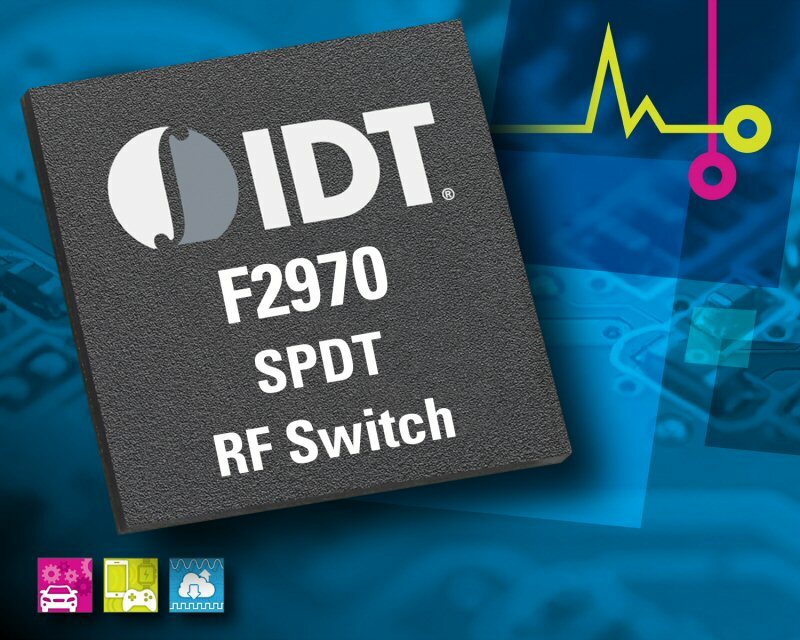 The IDT® F2970 is a high-linearity 75-ohm broadband switch that supports the DOCSIS 3.1 standard, making it ideal for next-generation cable TV equipment and broadband applications, from the headend to fiber nodes and distribution amplifiers. The Data Over Cable Service Interface Specification (DOCSIS) is an international standard for the transfer of data via high-bandwidth cable modems. The new 3.1 standard will "fatten" the data pipe to and from the home at a lower cost per bit. "By meeting the requirements of the DOCSIS 3.1 standard, the F2970 can be deployed in a multitude of advanced cable system and other high-performance RF applications," said Duncan Pilgrim, general manager of IDT's RF Division. "The device offers a leading combination of low insertion loss and high isolation, minimizing path loss while preventing cross talk and signal degradation." 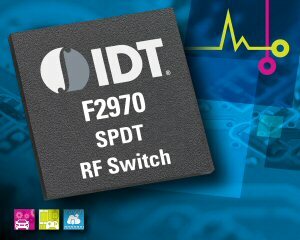 The F2970 delivers high linearity across a wide frequency range of 5 MHz to 3000 MHz, allowing the switch to be used in both the upstream and downstream signal chains throughout a CATV network. It features composite triple beat (CTB) and Composite second order (CSO) of -90dBc with 77 & 110 channels with output power of 44dBmV. The device features a broad operating temperature range of -40 to 105 C, low insertion loss of only 0.32 dB at 1200MHz, and high isolation of 68 dB at 1200 MHz. The. F2970 operates with a single positive supply voltage and supports 3.3 V logic. The F2970 is packaged in a 4mm x 4mm 20L QFN package Samples and volume production parts are available immediately at 93 cents each for 1,000 and $125 for an evaluation board. Follow IDT on Facebook, LinkedIn, Twitter, YouTube and Google+. © 2016, IDT. IDT and the IDT logo are trademarks or registered trademarks of Integrated Device Technology, Inc. or its wholly-owned subsidiaries around the world. All other brands, product names and marks are or may be trademarks or registered trademarks used to identify products or services of their respective owners.